Medically known as Medial Tibial Stress Syndrome, ‘shin splints’ is a term used to refer to pain along the inside of the tibia or shin bone. The exact pathology that causes the pain of shin splints is unclear and imaging such as ultrasound produces similar results when compared to persons who don’t have shin splints. The pain of shin splints is usually felt over the area where two particular muscles insert into the tibia. These are Tibialis Posterior and Flexor Digitorum Longus, these muscles act to extend the foot and toes respectively. 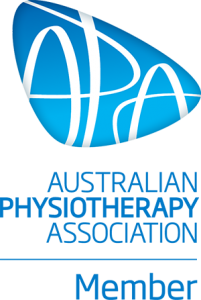 The first step for your physiotherapist will be to address any contributing factors and help to adapt your training program to a level that is optimum for you. A period of relative rest may be recommended along with a targeted strengthening and stretching program for any tight or weak muscles. The information in this article is not a replacement for proper medical advice. Please speak to one of our physiotherapists for advice on your individual injury.